Cvent CEO Reggie Aggarwal tells C&IT how he founded a cutting edge meetings, events and travel software company. 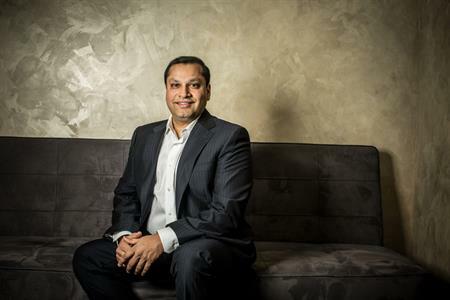 A lawyer by trade, Aggarwal founded Cvent in 1999 as a two-person startup, with the goal of making meeting planning easier for his peers in the business community. How did you get into events? I was a corporate lawyer. And when I was at university in law school I was in student government, I was president of my law class, president of my university. I went to be a lawyer and I enjoyed it. But I started an association in 1996-7. It was a group of CEOs. I was a technology lawyer and it was a great way for me to meet CEOs. The first event I threw was a Y2K event and that event led me to start the association. The first professional event I organised was in 1995 and it was called India Vision 2000, with the US Indian Business Council. It grew to about 2,500 people, who had 75 employees and $10million in revenue. I was essentially the secretary, the event manager, and I was the president of the organisation. As it grew, we started meeting 30 or 40 times a year. It was all in the Washington area. It felt like I was the only person who wasn't supposed to be at the event because I wasn't a CEO. It was like I had put up a velvet rope and I managed to get on the other side. So we started throwing all these events, but it became very painful, and so just like when you start a business, you find a pain point and you find the aspirin. It’s really that simple. What did you learn from rubbing shoulders with so many CEOs? As a lawyer I represented a lot of companies and I knew a lot of entrepreneurs and I learned a couple of things. For one, you find a pain point and you create an aspirin. The second thing I learned is that, you know what, when you start as an entrepreneur or a CEO, they are no different from you and I. They are not necessarily that smart. But what they did is, they took risks and they believed in something with a passion. Because I surrounded myself with entrepreneurs, I thought to myself, you know what, I can also do this. So I found my inspiration from meeting with them. The best way to start a business is to find something you don't like that’s inefficient, and say I’m going to solve it. I started the company, I quit my job, and I funded it myself. How much did you fund the start up with? When I first started I put up about $100,000, which was certainly a lot of money back then in the 1990s. But I was living with my parents, and they worked in government and gave me the money. We grew very slowly in the beginning. What was the ‘pain point’ you spotted in the events industry? Literally what I used to do was, take thousands of names, cut and paste them, and send them a personal email. This was back in 1996. So I spent about 40 hours week doing that while I was working 50 hours a week as a lawyer. Very few people were using email back then so I managed to get people to participate. But it was so painful. And every time they replied, I’d take their name, put it in a folder, at some point I would count them all. That’s how you did it. My tools were excel, outlook and yellow sticky notes. And that was how I organised events. So I said I’ve got to automate this, and that’s how I started the company. We started the company with just six of us. The dot com boom was in full swing. We raised $17m from people like the CEO of AOL, who were all personal friends from the association. I had a vision, they could see what great events we were throwing, and it became the hottest event in Washington. So they could see I was a kid with something special and someone who seemed to know what they were doing. Now we have 2,700 employees, and we are the largest by far in our market. But it is that entrepreneurial spirit that has led us here. The key thing is that 8 of my 11 original executives are still with me. My management team have been through ‘trench warfare’ and ‘knife-fights’. Nothing scares us. You’ve got to make a lot of sacrifices. But then when things start going well, you still have that edge to you. For us, even though we are the largest by a factor of 10, we are still paranoid at Cvent. We still make sure we invest a lot in our product and in our people.